The standalone sequel to the acclaimed illustrated chapter book, My Happy Life. Dani’s been trying her best to stay happy ever since her best friend Ella moved away. But when some girls in Dani’s class start being cruel to her, it starts a chain of rather unhappy events… It would all be okay if only Ella would move back. My Heart is Laughing is irresistible and just like in its predecessor, My Happy Life, there’s so much for children to experience within this realistic depiction of being a kid. The story explores how the irrepressible Dani navigates the challenges of school life while pining for the loss of her best friend who’s moved to another town; challenges come thick and fast, including the vagaries of friendship and the cruelty of bullying. But ultimately, it’s Dani’s wonderful optimism which ensures her resilience and ability to cope during unhappy times. Despite the more difficult issues encountered by our plucky little protagonist, this is a joyous and appealing story with lots of wonderful line illustrations on every page, which children will love. 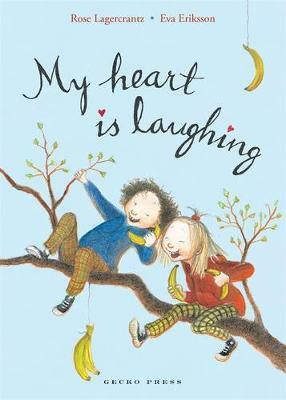 My Heart is Laughing is perfect for children ready to move on from first readers at school to early chapter books.